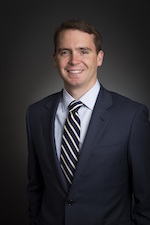 Mark Beaudoin is an attorney at the international law firm Nixon Peabody LLP focusing on commercial real estate transactions and development, finance and seniors housing and care. For nearly a decade, Mark has worked with real estate developers, health care facilities, energy providers and telecommunication companies across the country on the acquisition, financing, permitting, leasing and disposition of large commercial projects having national significance. An advocate of corporate responsibility, Mark recognizes the importance of businesses implementing best practices not only to benefit the company's profitability, management, shareholders and its employees, but to support socially responsible causes including the environment, economy and community at large. Mark has presented to the New Hampshire Business and Industry Association on the future of energy infrastructure projects in NH and was selected by Super Lawyers as a “Rising Star” for commercial real estate, land use and zoning law in 2014 and 2015. Mark graduated from the New Hampshire Bar Association’s Leadership Academy in 2012 and from Leadership Greater Concord, NH in 2014. He is a founding member of Fostering Legal Independence, an award winning program assisting children “aging out” of the foster care system. Mark received his bachelor’s degree from Hobart and William Smith Colleges and attended Vermont Law School. In addition to NHBSR, Mark serves on the Town of Hopkinton, NH Economic Development Committee, his hometown. Brett Cromwell is Global Communications Manager for the Advanced Energy division of Medtronic, headquartered in Portsmouth. His current focus is on internal and external communications, public relations, employee engagement, and philanthropy efforts. Brett led the efforts for Medtronic’s entry into the Best Companies to Work For NH competition, in which the organization was named #1 Best Company to Work For in 2014 and 2015. Prior to his current role, Brett managed the business’s marketing communications function, including rebranding efforts following the acquisition by Medtronic. 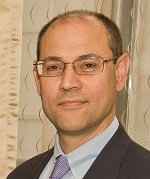 He has also served in Marketing Communications roles at Covidien and Smith & Nephew in Massachusetts. He is originally from Memphis, Tenn., and holds a Bachelor of Arts degree in Creative Writing from the University of Memphis, along with a certificate in Graphic Design from the New England Institute of Art in Boston. Brett and his wife Suzzanne are active members of their community in Lowell, Mass. They co-founded the Lowell Film Collaborative, a grassroots organization focused on hosting independent films in the community. Brett has also spent time as a music journalist writing for several publications in Boston as well as the Lowell Sun and Merrimack Valley Magazine. Lisa Drake is the Director of Sustainability Innovation at Stonyfield, the leading organic yogurt manufacturer based in Londonderry, New Hampshire. For 14 years, Lisa has developed and managed Stonyfield’s award-winning environmental and energy initiatives. As a primary architect of the company’s Mission Action Program, Lisa has driven transformational change by building environmental considerations into the company’s “DNA”. Lisa also leads Stonyfield’s advocacy efforts in the areas of energy and climate. 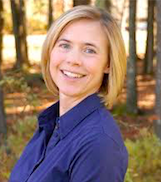 She has served on the Board of Directors of Climate Counts, a non-profit organization bringing consumers and companies together in the fight against climate change and is currently on the Advisory Board of the New Hampshire Food Bank and the Board of Directors for New Hampshire Businesses for Social Responsibility. 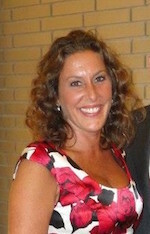 Prior to Stonyfield Farm, Lisa managed economic development programs for the State of New Jersey and was a project manager and licensed professional engineer for CDM Smith and Barr Engineering. She has BS and MS degrees from Tufts University in Civil & Environmental Engineering. A former volunteer fire-fighter, Mike is the Principal-in-Charge of BerryDunn's Manchester Office, focusing exclusively on commercial for profit companies, including manufacturing and high technology clients, an area he specialized in while working with PWC in Boston. Mike provides financial reporting, merger and acquisition structuring, internal controls and systems development, and strategic planning services for clients throughout New England. Mike has also led the Firm’s green initiatives (yes even a professional service firm can aspire to be a green company). Jessica Kinsey is the Career Development Manager at Cirtronics Corp., a contract manufacturing company in Milford, NH. She leads the Cirtronics’ Learning Center which is dedicated to professional and organizational growth and cultural sustainability. With over 15 years of experience, Jessica has served in a variety of leadership roles for non-profit and higher education organizations before joining the Cirtronics family. Born and raised in Mason City, IA, Jessica graduated from the College of St. Benedict/St. John’s University in St. Joseph, MN with a Bachelor of Arts in Theater. Ashley Larochelle is the Vision Activation Manager for MegaFood, a whole food supplement manufacturer located in Londonderry NH. In her role, Ashley drives strategic corporate communication, culture & engagement & a variety of projects aimed at aligning and supporting the company's business objectives, priorities, and vision. Since arriving at MegaFood in 2012 from the financial services industry, Ashley spearheaded a number of signature initiatives. These include the company’s employee-run Culture Club that offer a variety of ways to make MegaFood a best place to work, community-building initiatives such as quarterly Town Hall meetings for all staff, 24 hours of paid volunteer time, and an annual MVP program, among others. Ashley was instrumental in helping to coordinate MegaFood’s three-year effort to become a Certified B-Corporation, a milestone the company achieved in 2018. As a B-Corp, MegaFood joins a global movement of people using business as a force for good by meeting the highest standards of overall social and environmental performance, transparency, and accountability. Ashley continues to play a major role in the company’s growing portfolio of social impact programs devoted to improving food security and access to better nutrition. Ashley is originally from Haverhill Massachusetts, and holds a Bachelor of Arts degree in International Relations & Political Science from Rivier University in Nashua New Hampshire. She currently resides in Hudson New Hampshire with her husband Roger & daughter Finley. She is an avid volleyball player, oil painter, and Patriots fan. Gary Lemay is Renewable Energy Engineer with New Hampshire Electric Cooperative where is focused on NHEC's renewable energy installations, education and policy. Prior to joining NHEC, Gary was the Business Development Manager for Public Service of New Hampshire and was also responsible for working on renewable energy projects to meet PSNH's Renewable Portfolio Requirements. Gary holds an engineering degree from the University of New Hampshire, a Masters in Business Administration from Southern New Hampshire University and completed the inaugural Institute for Corporate Sustainability, a partnership between NHBSR and UNH. 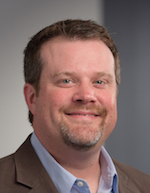 Sean Matulonis is Head of Finance and Operations at Schleuniger, Inc. in Manchester, NH. As one of the leading international manufacturers of high-precision cable processing machines, Schleuniger offers a wide range of equipment to fit a variety of processing needs from simple to extremely complex. Schleuniger strongly believes in giving back to the community. Through their Community Service Connection, employees regularly participate in various programs and activities to benefit the environment and our local communities. Sean enjoys the outdoors and spends much of his free time hiking, biking, and skiing. Chris is Vice President, Business Development at Pax World Investments. Pax World is a leader in the field of Sustainable Investing, which incorporates environmental, social, and governance factors into decision making and financial analysis. 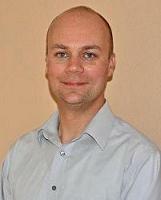 Chris joined Pax World in 2013 and has over 7 years of experience in financial services. In his role at Pax World, he is responsible for helping financial intermediaries implement sustainability factors into their businesses. He educates financial professionals on the importance of incorporating ESG factors into investment analysis. Chris earned his B.S. from the Whittemore School of Business and Economics at the University of New Hampshire. Melissa Skarupa is the Community Relations Manager for Dartmouth-Hitchcock and has over 15 years’ experience in Community Relations and Communications. She previously worked for Public Service of New Hampshire, Child and Family Services of New Hampshire, Centerstone Behavioral Healthcare in Nashville, TN and Capital Media Network in southern Florida. Melissa is a graduate of Lyndon State College in Vermont, where she was part of the Arthur B. Elliot honor society and earned her BA in Psychology. She also attained a Broadcast Journalism certificate from the Connecticut School of Broadcasting. Melissa’s work on a Methamphetamine Awareness and Prevention campaign for Centerstone Behavioral Health received a Bronze TELLE and Gold Addy Award. Melissa has volunteered time with many local non-profits and served as the VP of Communications for the Merrimack Chamber of Commerce, Auction and Marketing Chair for the Animal Rescue League of NH, and currently is part of the Nashua Department of Public Health and Community Service’s Access to Healthcare Work Group and is on the Board of Trustees for the YMCA of Greater Nashua. She has also run the Boston Marathon the past two years for Boston Children’s Hospital. Melissa’s favorite pass time is spending time with her husband Kevin, son Levi. She also enjoys running, gardening, cooking, and reading when time permits. Jillian is the Sustainability and Environmental Compliance Supervisor at Hitchiner Manufacturing located in Milford, NH. Hitchiner supplies complete-to-print, high-volume, complex thin-wall investment castings and fully-finished casting-based subassemblies and components to the automotive and aerospace industries. The company has 1,800 employees worldwide. In her role as Sustainability and Environmental Compliance Supervisor, Jillian helps to ensure compliance at all U.S. based locations in regards to environmental regulations, as well as oversee the safety program. Jillian also assists with energy and waste reduction projects within the facilities. Jillian has worked at Hitchiner full-time for the past 4 years and prior had worked as a Pollution Prevention intern while she was attending the University of New Hampshire. 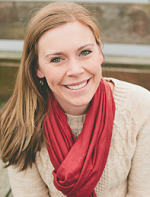 Jillian holds a bachelor’s degree in Chemical Engineering and is currently working on her MBA. Paul Susca’s background includes management consulting, environmental consulting, and writing for a number of business publications. He currently oversees drinking water source protection and several related programs at the N.H. Department of Environmental Services. He serves in leadership and advisory roles in several national and regional drinking water organizations and is a founding member of the Salmon Falls Watershed Collaborative, which was awarded a U.S. Water Prize in 2012. Paul holds a BA in Biology and Environmental Studies from Dartmouth College and an MS in Resource Management and Administration from Antioch University New England. He is a 2014 Hoffman-Haas Fellow (N.H. Center for Nonprofits) and a member of Leadership New Hampshire’s Class of 2013. As sustainability director for Timberland, Colleen Vien is responsible for setting the brand’s strategic direction related to all aspects of sustainability, with a focus on making products responsibly, protecting and enhancing the outdoors, and community and employee engagement. This includes internal and external stakeholder engagement, NGO relationship management and CSR reporting and communications. Colleen has been with Timberland since 2005. Prior to being promoted to sustainability director in 2014, she led the company’s Code of Conduct / Supplier Sustainability program, which today through its parent company VF Corporation continues to go beyond compliance and provide enrichment opportunities for partner factory workers. Colleen’s experience leading the global Supplier Sustainability team, coupled with her ability to align and influence key stakeholders across businesses and her passion for what she does, have played an important role in her continued success in driving Timberland’s CSR agenda. Colleen reports directly to the president of Timberland, with a dotted line to VF Corporation’s sustainability director. Over the years, Colleen has held a variety of leadership seats in several collaborative multi-stakeholder industry groups, such as Business for Social Responsibility (BSR), Social Accountability International (SAI), Outdoor Industry Association’s (OIA’s) Social Responsibility Working Group (SRWG) and Sustainability Working Group (SWG), the Sustainable Apparel Coalition (SAC), the Social/Labor Convergence Project, and Social Accountability Accreditation Services (SAAS). She is currently a member of the SAAS Board of Directors, on the Advisory Board for SAI, a member of the Advisory Council for the OIA SWG, and on the Steering Committee for the Social/Labor Convergence Project. Prior to Timberland, Colleen held various ethics and compliance roles with TYCO Engineered Products and Services, and Apogent Technologies Inc.
Colleen has a Bachelor of Business Administration in finance from the University of Wisconsin-Milwaukee.